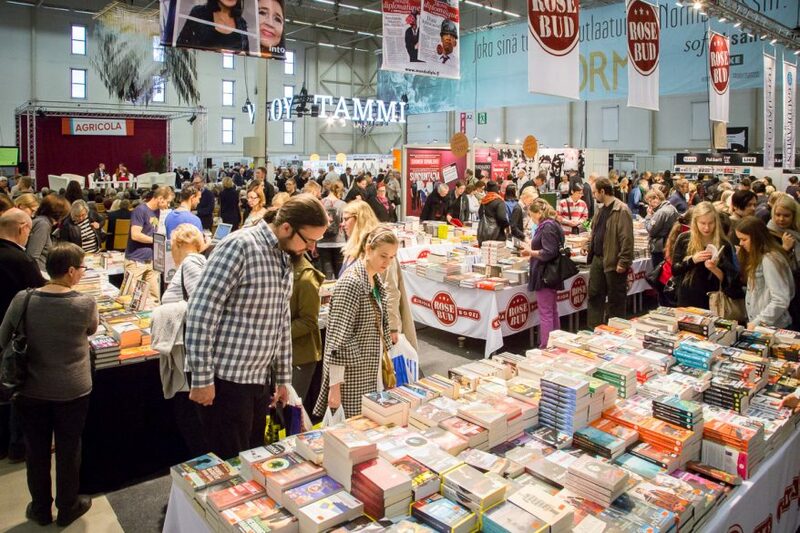 On October 6–8, 2017, the Turu Book Fair will be held, which is chosen as the best fair event in Finland. This year the theme of the fair is ‘100 Years of Finland’. Estonia is represented by fresh Estonian literature, which can be seen in both the Estonian stand and many other stages. This year works about Estonia and Estonian literature are also introduced. The Estonian programme at Turku Book Fair focuses largely on Friday, October 6. Writer, scientist, and translator Juhani Salokannel introduces his Tammsaare book, the novel “Pobeda 1946” published in Finnish in spring is presented by Ilmar Taska and Imbi Paju, historian Seppo Zetterberg talks about a new study ‘Uusi Viron historia’ and Estonian fiction is discussed by Mihkel Mutt and Valdur Mikita, whose works are published in the anthology of the Estonian Institute, ‘Nippernaati 3’, which is also the Estonian catalogue at the book fair. For the first time, Estonian related conversations can be streamed as live broadcast at http://www.tuglas.fi/stream. On Friday, October 6, at 10 p.m. at the Turu Jazz Club Café Tiljan, Estonian jazz star Kadri Voorand will perform with her quartet. The event belongs to the Estonian side programme of the Turu Book Fair. Estonian participation at the Turu Book Fair is organized by Estonian Institute in Finland, Estonian Embassy in Helsinki, Association of Estonia-Societies in Finland and Tuglas Society. The Turu Book Fair is open on Fri–Sat 10 a.m. – 6 p.m., Sun at 10 a.a. – 5 p.m.